You may think a 100% selling rate is a dream. Well, it’s the penultimate goal of every sales person, sales team, and business. It is not impossible but it takes a lot of effort and takes a lot longer to achieve since not every engagement by every sales person with a prospect results in immediate sale or conversion into a buying customer. The reality is that 80% of sales require five follow-ups after the first meeting and that at any given time 56% of your market are not ready to buy, 40% are set to start, and only 3% are actively buying. That process from initial contact with a prospective customer up until an actual sale occurs is called a sales pipeline. It is like a visual snapshot of where prospects are in the sales journey. It shows you how close your salespeople are to hitting their sales quota as well as how many sales you’ll be closing in a given week, month or year. Also of importance is how you’ll go about doing those. Maybe you have your own particular method of handling potential customers or a distinct way of following up to close a sale. Whatever it is you just may not be aware that you already actually have a sales pipeline. Managing your sales pipeline enables you to track open sales opportunities as they move in the pipeline. You can also determine problem areas in each pipeline stage and patch them up. Properly managing your sales pipeline affords you more control over your sales figure which will more likely produce positive results. And successful sales mean more revenues for your business. Pipedrive is an award-winning CRM platform built around a proven sales pipeline management methodology. It provides you an efficient overview of the sales pipeline that displays your deals according to different sales stages. This allows you to see clearly the progress of your team and determine which deals should be pushed. Surveys reveal that only 25% of leads are legitimate and should advance to sales, while 50% of leads are qualified but not yet ready to buy. With Pipedrive’s Timeline View feature, you are able to distinguish leads that are worth nurturing so that your salespeople can focus on them, and you can follow the progress of your sales teams as they work on those leads. Although sales pipeline look more or less the same (shaped like a funnel) , its elements can be tweaked, modified and adjusted to reflect movements of deals go through the stages. Changes can be introduced to reflect and match the parameters that you set. Pipedrive lets you fully customize your pipeline at all levels to fit your unique sales process. You can add as many sales stages, team members, or activity types as you need. You can assign each stage an appropriate name and start completing actions. If there are features don’t need at the moment, you can turn them off and on as you wish. You spend more time on admin tasks. This is validated by survey which found out that 71% of sales reps spend too much time on data entry. With more time spent on administration and less on closing sales, the pipeline will stagnate and that only means there is decline in sales performance which, in a business perspective, is disastrous. Pipedrive remedies this situation by automating data entry – you can modify info fields all at ones, import lead data from other systems, and integrate contact information from outside into the Pipedrive platform. You can read more about Pipedrive integration capabilities in our other article. Deals move slowly from one stage to another. This is indicative that not enough is being done to follow up or nurture leads, or that not enough effort is being put to work on opportunities in the sales pipeline. Overall, there is a lack of properly managing your prospects and sales activities to effectively complete the sales process. Every lead or opportunity must be managed and developed, and this is done simply by following-up on your prospects or arranging the next meeting in advance. 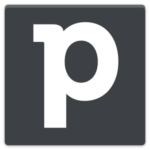 Fortunately, Pipedrive makes it easy for you or your salespeople to calendar events and meetings ahead with its advanced Activity Scheduler so that there are no double entries and that no opportunities are missed. With these, you help properly move your sales process along at the right pace. You have long sales cycles. One study revealed that 27% of sales reps consider long sales cycle as one the biggest barriers to sales effectiveness. Extended sales cycles, meaning it takes quite some time to close a deal, signify a problematic sales pipeline. It could be that deals move slowly as mentioned earlier, or there might be a gap somewhere along the funnel which needs to be filled up with more qualified leads. Whatever factors are at play, you need to be in complete control of your sales process, be knowledgeable of your customer history, and be aware of the time it takes to move leads from prospects to customers. With Pipedrive, you get the kind of pipeline visibility that allows you to keep tabs and have total control on the sales process. 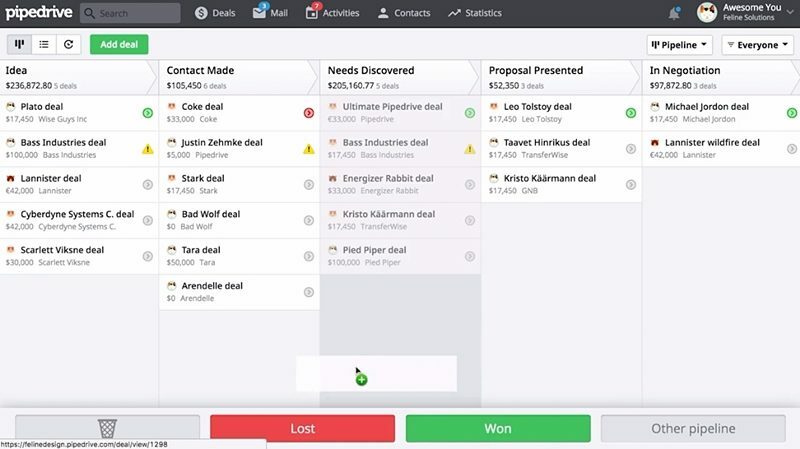 The clarity of pipeline view through the Pipedrive system helps you to understand your sales momentum and priorities, and refocus your team’s efforts accordingly, including shortening sales cycles. There are many other telltale signs of an ailing sales pipeline such as not knowing what your sales team is doing, losing valuable sales data, not having an idea of your lead to win ratio, or considering every customer as the same (they are not!). In business, it is dangerous to thread on wrong assumptions as much as it is dreadful to have no idea at all of what’s happening. This is why it is vital that you have a system like Pipedrive which offers an unobstructed view of your sales pipeline to keep everything organized and have you in control of the complex sales process. It has features not only to enhance your sales funnel but also to equip you with the right and relevant information so that whenever it is needed, you know where and how to take action and empower your salespeople to hit their goals. What is the Difference between CRM and Marketing Automation?